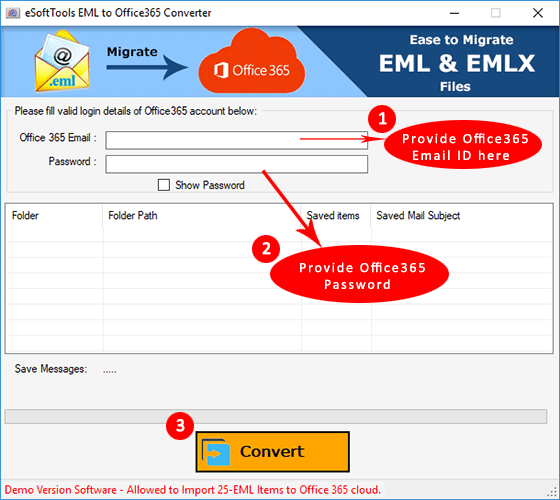 How to Import EML to Office365? Import EML files to Office365 easily and securely with eSoftTools EML to Office365 Converter software. 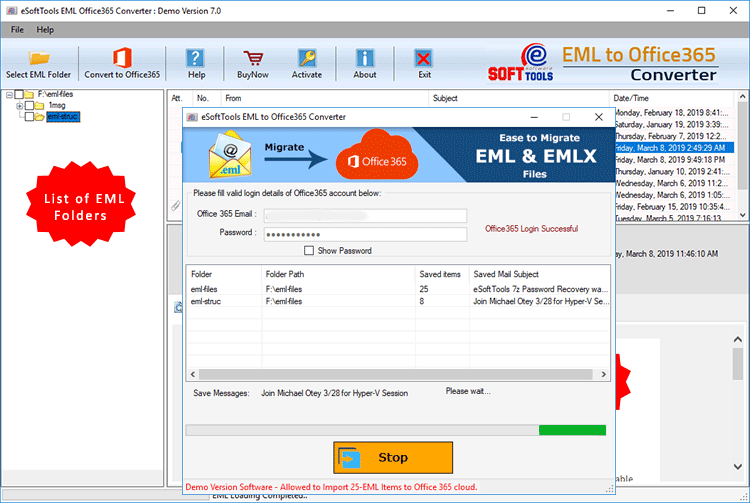 This software automatically fetch the content of EML files in bulk mode and instantly transfer into Outlook OWA clound. 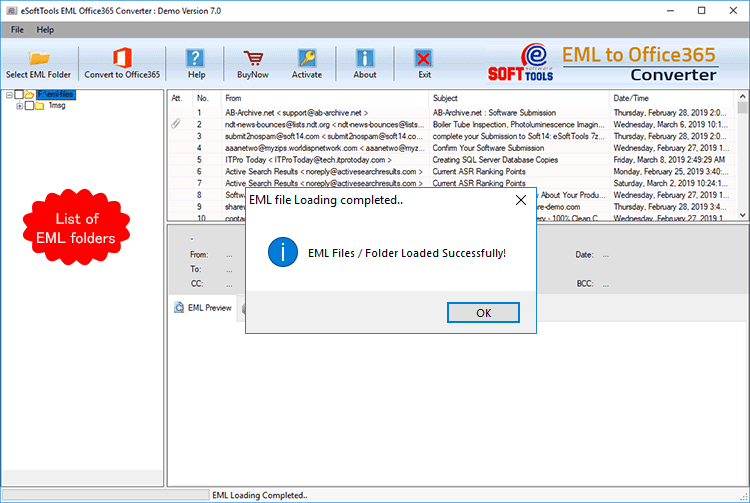 Select EML folders by clicking on "Select EML Folder" from toolbar. 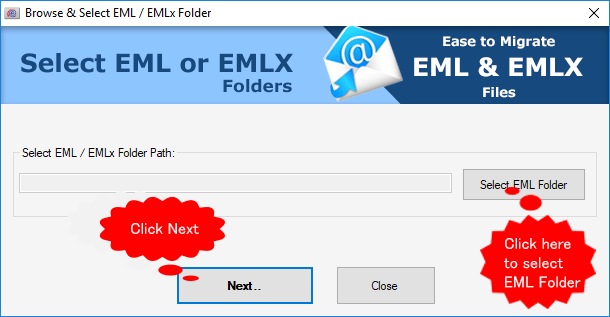 Once you select the EML folder(s) by clicking on "Select EML Folder" as shown in above screenshot then click on "Next" button to start the process. 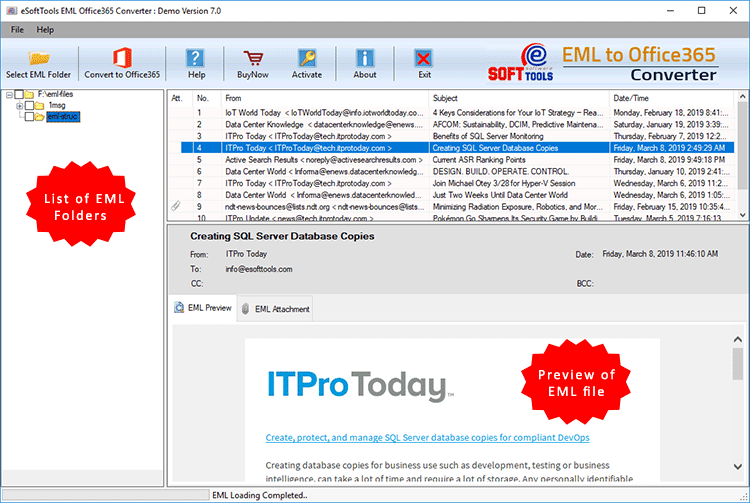 Review each EML files one-by-one by previewing data. The preview of EML looks like below screen. Provide Office365 Account credential and start conversion process. Confirmation Message: Once software finishes EML import to Office365, gives you confirmation message like below.